Gain, gain and more gain! 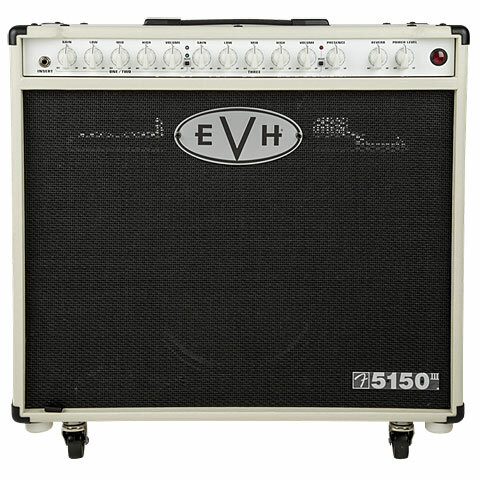 The EVH 5150 III combo offers plenty of Eddie in a small space. 50 watts of output power from 2 6L6 GC power tubes provide enough steam for bigger stages. Not less than 7!! 12AX7 tubes do their service in the pre-amp stage. There are 3 channels: Clean, Crunch and Lead. 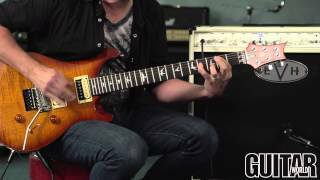 The sound ranges from crystal clear clean, over violent crunch to Ultragain. Available in Ivory iconic outfit.